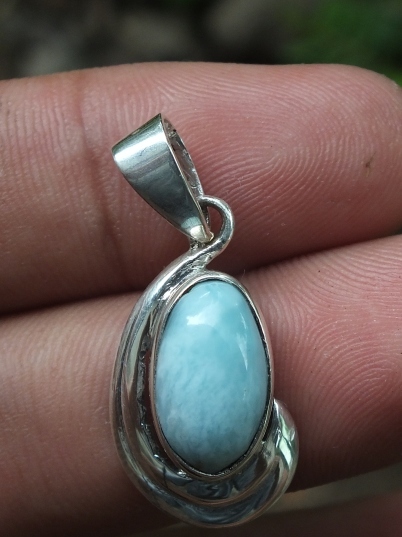 This is a very beautiful Natural Blue Larimar pendant. 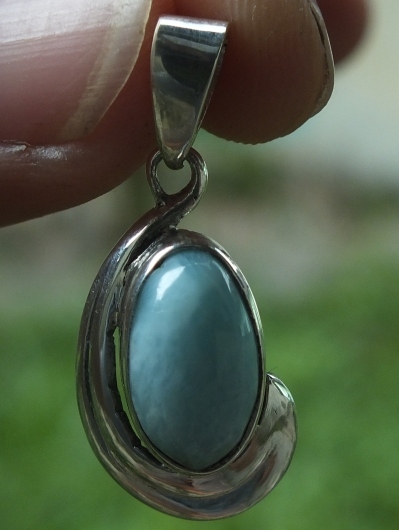 This nice blue gemstone is originally came from the Caribbean sea. 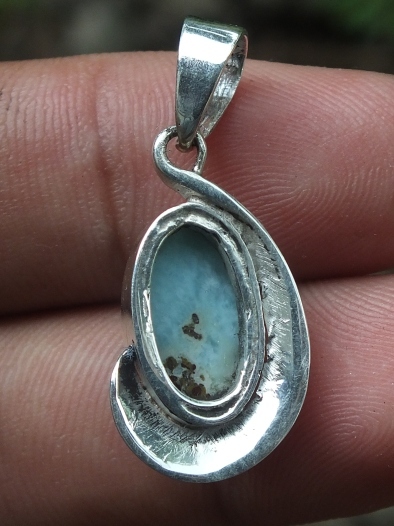 It is already set on a beautiful handmade silver pendant. The size of the gems is (est. 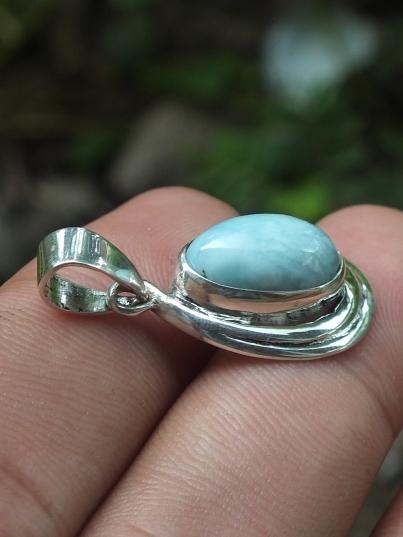 set on pendant) 13,8 mm x 8 mm x 5 mm. 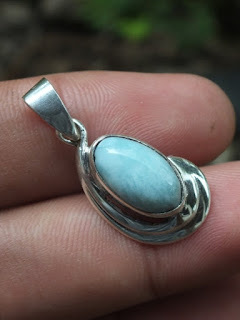 Get this special blue color gems now! Natural Caribbean Larimar!